Affiliate marketing is one of the easiest ways to make money online. You can earn 1000s of rupees per month from the comfort of your home. If you have a computer with internet, you can create a good monthly income stream just by promoting products and services. Not to sell anything directly! 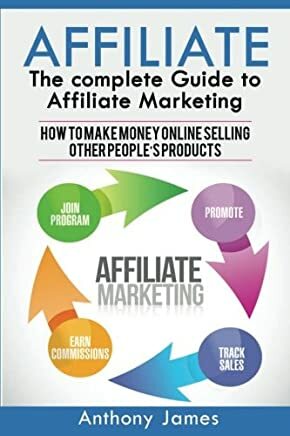 Here are some valuable tips and tricks on how to make money with affiliate marketing faster and easier. If you are a beginner in this field, let’s learn a few things first before anything else. It is a form of internet marketing in which a merchant or retailer rewards commissions to affiliates for driving traffic or making sales through marketing efforts. Here, you play in the role of an affiliate who uses marketing strategies to promote products of that merchant. The more an affiliate fulfils the objective of the merchant, the more he or she earns. As an affiliate marketer, it is better to have at least one website or blog. If you are a newbie, you can start it free. If so, read this article > How to Start a Blog for Free and Make Money. They are the best ones suitable for most niches. But your choice of best affiliate programs or networks will truly be based on your niche, target audience and their location. For example, if you want to target people who are looking for best web hosting packages, you should join Bluehost Affiliate Program and Godaddy Affiliate Program. Use Google to find any good one for you and read reviews. 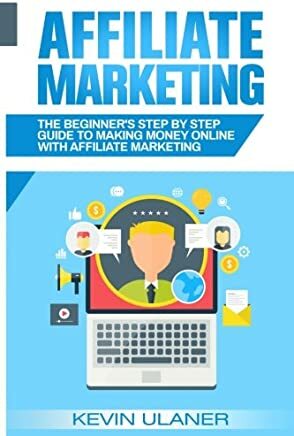 How to Make Money Faster as an Affiliate Marketer? Think about hot new topics in the niche. Write interesting articles and honest reviews on the topics. Use different traffic driving techniques. 1. Choose a Right Niche. What are the demanding, most popular searches online? Is the volume of the searches enough to earn a good income for you? Are most of them buyers or information seekers? Is the competition high or low? Let’s answer the above questions with you. First, think about yourself what you are good at. Say, you are good at buying a better mobile phone at any given budget. For the first question, use a keyword research tool like Google Keyword Planner or any other good tool. Then, research keywords like mobile phone, smartphone etc. Look at the local and global search volume. You see lots of people use such keywords and similar phrases in Google. For the second question, if the search volume of most keywords found is high, you will find that a niche on mobile phone will become a good one to check. As for the third question, study all the keywords found. Each keyword or phrase means something – buying or information seeking. For example, “Samsung phone prices” has a buying intent. Select all keywords with buying intent and calculate the total search volume of those keywords. Is that good for making money? If so, it’s OK.
For the last question, create a table of all selected keywords as above. Include three columns of Low Competition, Medium Competition and High Competition. Then, enter all the keywords in each column as per their competition level. Now, check the search volume of the keywords in Low Competition column. Is it ok for making money? If yes, look at the keywords closely and start a niche based on them. If no, you can try a niche based on the keywords found also in Medium Competition column. It may take some struggle. However, don’t try thinking for a niche based on the High Competition column. Your success may be so hard to achieve. You can do as above until you get a good niche using different seed keywords in the keyword research tool. You can use MS Excel to arrange the keywords as desired. A well-start will save lots of your efforts and time to earn money quicker. Old, out-dated topics are useless. Most people don’t look for them. Once you have your niche or marketing sector, look for new interesting topics to write in your niche. See through your niche keyword list and find a keyword to write about. There are also many ways to find topic ideas. Hear what people are talking about, look at social media posts, watch TV, find hot new product arrivals and know seasonal things people may be interested online. Search a related keyword in Google and check what your competitors are writing about in their websites. Every time you find an interesting idea, write about it and publish in your website for visitors. Write professional looking articles without grammatical errors and spelling mistakes. Make it funny and friendly. Don’t be monotonous. Make it relevant to visitors and helpful to them. Write for them, help them know the truth and accept it. Write up to cover the main topic perfectly. Insert relevant images and videos to attract them. Write product comparisons, price comparisons, top 10 lists and your recommended products and services. Insert affiliate links or banners wherever is necessary in the content. But not too many. Don’t push visitors to click your affiliate links or buy through your website forcefully. Let them decide on themselves. However, make the affiliate links or images found effortlessly for them. If your story is satisfied or accepted in their mind, they will click the links and buy the products. One easy way to create quality content is search in Google with the topic keyword and see how other people write, then write your own adding extra values. Read Google SEO Starter Guide. Make your site fresh by adding new quality content regularly. Put relevant internal and external links wherever is necessary in your pages. Add ‘Nofollow’ attribute in affiliate links. Allow visitors share your content over social media sites by adding social media buttons in your pages. Add AdSense and other ads in your site for monetisation. But not too many to avoid of detracting the page’s main content. Try to build backlinks to extend trust and visibility. But do it in an acceptable, natural way. Learn more from experts to improve your SEO performance. Check 10 Best SEO Books. Social Media: Share to different social media platforms like Facebook, Twitter, Instagram, LinkedIn etc. after you publish your posts or pages in your site. You can also find an influencer who can increases visibility on different social media channels. Email Marketing: Use an email service like Awber. Offer free eBooks and courses to get subscribers for your website. You can also email them immediately when you have an important announcement, new offers or event. Google AdWords: You can run Google ads campaigns to get lots of visitors immediately. But it should be done carefully. Think if it is the most exciting product and how many conversions you may get. Don’t do it blindly or you may lose money. YouTube Videos: You can upload video tutorials, guides to your YouTube channel to drive more traffic. Read this article > How to Make Money from YouTube Videos. Email & SMSs: Tell your friends and loved ones to visit your affiliate site. You can send emails and SMSs to people you know. Can You Do Affiliate Marketing Without a Website or Blog? Blogs and Forums: You can post the affiliate links or banners with some details to popular blogs and forums. But follow their rules. eBooks: Write a good eBook and insert affiliate links in it. Publish it to eBook sites or even sell it on eBay for a very small price. YouTube: Start a YouTube channel and upload interesting videos. Insert your affiliate links in video description or video itself. However, ensure that you don’t violate YouTube’s policies. HubPages: Start a good hub on HubPages site. You can put affiliate links and banners in your hub. Social Media: You can also include the affiliate links in your posts on different social media channels. 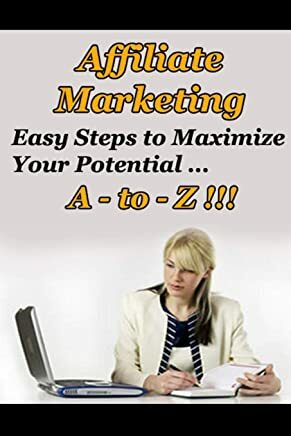 View other good Affiliate Marketing Books. If this article useful to you? Leave your valuable comment below and share this page to social media to help your friends and loved ones make some money.